Just a decade ago, practically the only bars in India were dark, male-only dens where red-eyed drinkers glowered over glasses of so-called Indian-made foreign liquor, aka IMFL. But rising incomes and a new generation of hip, young drinkers have changed all that. These days, the key Indian demographic for a host of alcohol brands and bars is the under-30 set, and craft beer is fast becoming the cutting-edge offering in the premium segment. Just ask Ankur Jain, who’s pioneering the adoption of bottled craft beers in bars and liquor shops, including his own Bira 91. Launched in February 2015, Bira 91’s rapid viral success caught the eye of Sequoia Capital, the Silicon Valley firm best known for backing Apple, Google, LinkedIn and Whatsapp. 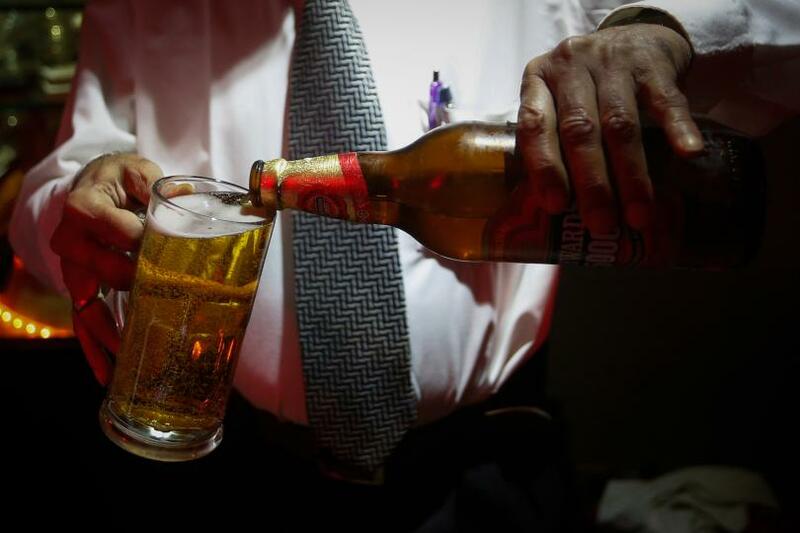 This month, in its first alcoholic beverages play in India, the firm bet $6 million on Bira 91. Jain’s B9 Beverages plans to use the cash to put some marketing muscle behind the brand and set up a local brewing facility in the central Indian state of Madhya Pradesh. Does that mean that craft beer is about to take off? Market leader Kingfisher and other local mass-market brands needn’t worry yet, according to a recent “Beer Market in India” report from London-based Technavio Research. But mushrooming microbreweries, together with increasing sales of imports like Stella Artois and Guinness, prompt the research firm to forecast 10 percent growth in craft beer sales through 2020, compared with 8 percent growth for the Indian beer market as a whole. Compared with the volume of a giant like Kingfisher — the flagship beer brand of the Bangalore-based United Breweries Group — Bira 91’s million-odd cases a year is a drop in the barrel. But Jain, and presumably Sequoia, expect sales to grow much faster in India than they did in the U.S. The growth of microbreweries will help open up the category and introduce consumers to different beer styles, Technavio Research suggests. And new “beers-of-the-world” bars like the New Delhi-based Beer Café offer ready access to the target demographic. “Our brewery started about 16 months ago, and over the last seven to eight months we’ve seen a lot of growth,” said Shailendra Bist, Pune-based Independence Brewing Company’s co-founder and head brewer. Over the next year or so, the microbrewery plans to open at least two taprooms, locally known as “beer bars,” in Mumbai, he said. The main beneficiary of India’s nascent wine-making industry, Maharashtra, where Pune and Mumbai are located, was one of the first Indian states to permit such microbreweries, which are (for now) only allowed to sell beer on tap or by the keg. According to Technavio, midsized Pune alone has at least six microbreweries. Many more have mushroomed in Gurgaon, Haryana, and Bangalore, Karnataka. “We as microbrewers in Maharashtra keep lobbying the government to be more progressive with their beer brewing policy,” said Bist, who boasts California-based Stone Brewing’s co-founder Greg Koch as one of his partners. Take-away jugs known in the industry as “growlers” may be on the horizon, and maybe more. “Hopefully, the government may soon allow us to do a small bottling run,” Bist said. But that’s where the big challenges will begin, he added. India’s distribution chain is both cutthroat and chaotic, with the big players offering serious kickbacks to drive sales. That could prove a tough nut to crack, he said. But he believes those same conditions give local craft beers a better-than-even shot at more famous-imports. In comparison, Bira 91 retails at 100 rupees ($1.50) for a 330 ml bottle, while its nearest competitor, Carlsberg, is 85 rupees ($1.30) per 330 ml bottle. A second-time entrepreneur (he co-founded a healthcare revenue cycle management firm called ReliantMD in 2002), Jain started Cerana Beverages and began importing famous craft beers from around the world in 2008. He believes the market savvy and distributor relationships he's earned will help Bira 91 leap the same hurdles. In terms of product selection and branding, Jain zeroed in on two distinct-but-familiar styles, a wheat-based Belgian white and an aromatic craft lager. By design, neither style is as radically different from India’s mass-market lager as a stout or a pale ale. Theorizing that other “premium” beers, such as Budweiser and Carlsberg, were essentially asking consumers to “ drink me because I’m extremely respected abroad,” he also made sure that Bira 91 was “unapologetically Indian” yet appealed to upwardly mobile youth, he said. The name Bira has an Indian sound, and 91 is a reference to the international country code used to dial India. Meanwhile, the punk rock monkey chosen for the brand’s logo is Indian enough, yet not too Indian. “We tried to stay away from elephants and spices and so forth” because young Indians are resistant to hackneyed images of “exotic” India, he said. Exotic beer, on the other hand, they drink right up.